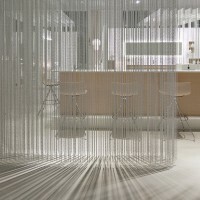 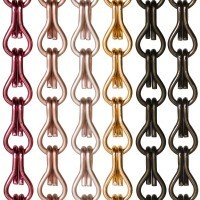 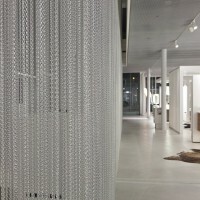 KriskaDECOR have created a series of metal chain curtains to make it look like it is raining in the showroom of Talsee, a manufacturer of bathroom furniture. 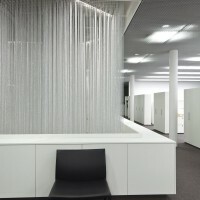 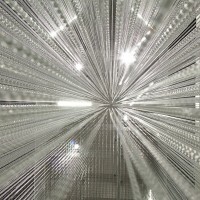 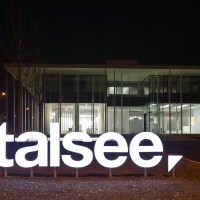 The client reception area has been installed in the central area of the installation. 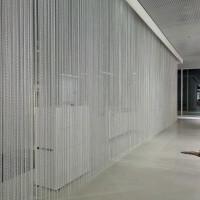 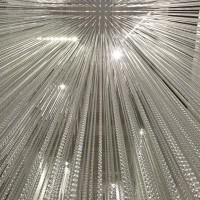 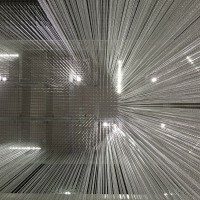 The varying lengths of the chains (the longest measures 7,80 meters) form a ‘rain passage’ that separates the different functions of the showroom, creating a ‘room’ inside each one. 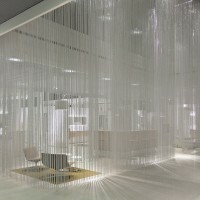 Clever lighting creates a surreal and magical ambiance.